Roman copper alloy nummus of Constans or Constantius II, reverse type FEL TEMP REPARATIO, pheonix on rocky mound, mint unknown, 348-350. Roman copper alloy nummus of Constans, Reverse type, FEL TEMP REPARATIO- Pheonix on rocky mound, mint unknown, 348-350. 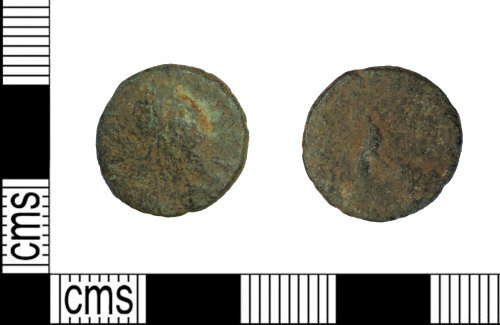 Roman copper alloy nummus of Constans, reverse type FEL TEMP REPARATIO (pheonix on rocks), minted 348-350.